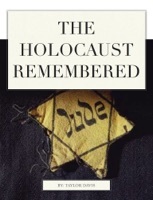 A brief educational book about the Holocaust. This book covers the beginnings of this tragedy through the liberation of the camps. This book is designed to teach high school students a comprehensive and accessible history of the Holocaust. Images, letters, and movies are included to tell this history in an interactive format.